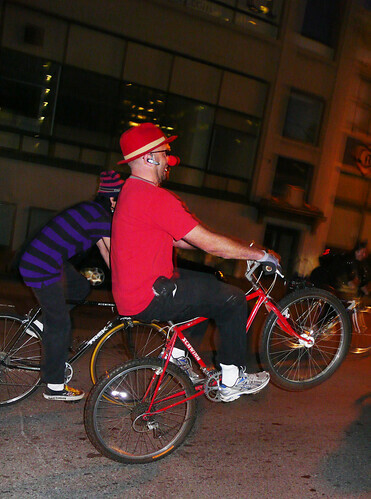 I rode next to this clown for a while down Howard Street. He rocked this wheelie for at least a full city block. I was rather impressed. And what's not to love about his accessories - the red nose and the bluetooth hanging on ear.